The president of the Student Government Association (SGA) at Webster Vienna had an idea for team-building exercises for these student leaders, so he brought them to his home. 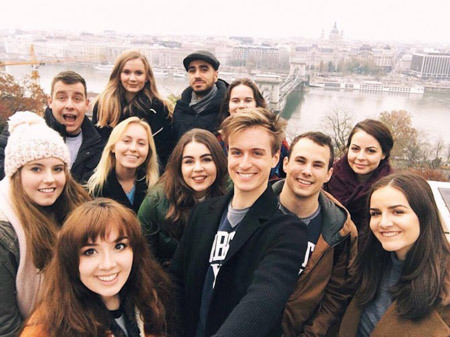 Vienna's SGA held their first team-building retreat retreat from Nov. 18-20, in Budapest, Hungary, where Vienna SGA president Balint Molnar hails from. The trip allowed participants to get to know each other and develop stronger connections in a setting outside of campus. Molnar arranged the trip and accommodations for the group, with highlights including a treasure hunt at the picturesque Castle of Budapest and a team-building “Escape the Room” exercise. Molnar was one of the students from Vienna who participated in Webster University's first Global Student Leadership Summit in 2015 in St. Louis at the Webster Groves campus. The Vienna campus will be host for the second such summit in June 2017.